FinnegansWake is the book of Here Comes Everybody and Anna Livia Plurabelle andtheir family - their book, but in a curious way the book of us all as well asall our books. 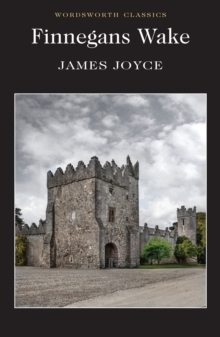 Joyce's last great work, it is not comprised of many borrowedstyles, like Ulysses, but, rather,formulated as one dense, tongue-twisting soundscape. This 'language' is based on English vocabulary and syntax but, at the sametime, self-consciously designed to function as a pun machine with anastonishing capacity for resisting singularity of meaning. Announcing a'revolution of the word', this astonishing book amounts to a powerfullyresonant cultural critique - a unique kind of miscommunication which, far fromstabilizing the world in meaning, constructs a universe radically unfixed by awild diversity of possibilities and potentials. It also remains the mosthilarious, 'obscene', book of innuendos ever to be imagined.